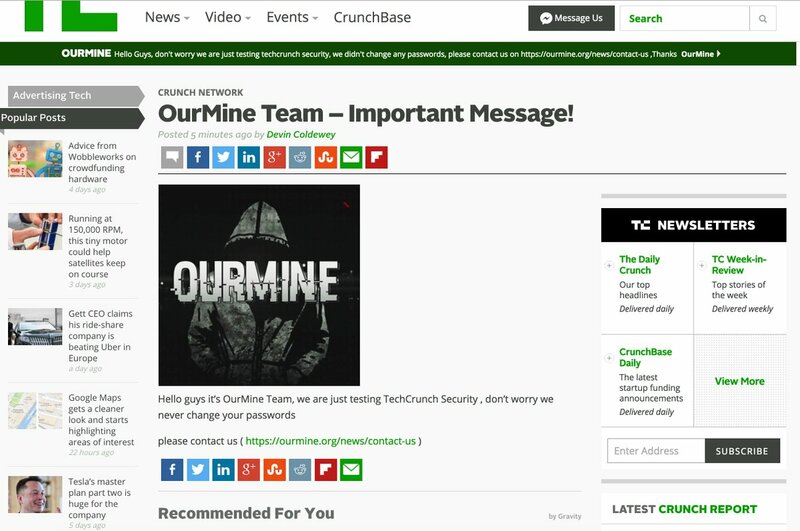 One of famous tech media site 'TechCrunch' became the latest victim of hacking group called 'OurMine' team. Mark Zuckerberg and Google CEO +Sundar Pachai. Recently they have also DDos the most popular game PokémonGo server. At the mean time, post has been deleted but you can still check it from Google cache.